Entrepreneur of the month – Oprah Winfrey on Believing in Yourself. 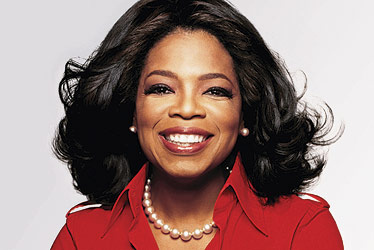 Oprah Winfrey is an American host, entrepreneur, actress and philanthropist. She was named the richest African American of the 20th century by Forbes magazine and was awarded the Presidential Medal of Freedom in 2013, which is the highest civilian honour in the USA, among many other recognitions. She has contributed immensely to charitable causes, particularly in supporting girls’ education in South Africa, and dedicated herself to children rights activism. Although an iconic figure today, Oprah had it rough growing up with her mother. She was sexually molested between the ages of nine to thirteen years and she left the house at the young age of 14 to hustle but later returned home to her father where she was more protected and appropriately looked after. Her father, been a disciplinarian, taught young Oprah some vital life principles such as self-belief. He believed in her and would never accept anything less than what he thought she was capable of. This, and other lessons from the church she attended while growing up, pushed Oprah to becoming all she can be. She excelled brilliantly in school, won many prizes in oratory and dramatic recitations, won a major beauty pageant with a college scholarship and landed her first radio station job as a student. Today she owns one of the largest TV networks, the Oprah Winfrey Network (OWN), and she is an inspiration to many across the globe. In the following video presentations, Oprah shares a very important perspective on the power of believing in oneself. Having been through all she experienced in the past to becoming such a success story today, she shares one of her success secrets. According to her, many people are where they are right now because of what they believe and if a person is not conscious enough of such surface and shadow beliefs, they end up acting out of that belief system, which can hinder them from moving into the life that they think they deserve. Watch the rest of these brief powerful and motivational videos (4mins total) below and feel free to share your comments regarding this post or any other post on this blog. Happy new month! Oprah is one very very inspiring woman with inspiration to share. Thanks for this tribute. I enjoyed watching her speak about Jim Carey. Thank you! Thank you too for your comment Madeline. I’m glad you found it valuable.